There probably isn’t a person who ever applied for a job who didn’t heed the maxim, “Dress for the job you want.” But when it comes to the resumes that the carry with them to an interview or that precede them in response to an ad, many personnel managers have to wonder what exactly they are aspiring to. This article will serve as a primer to help you make your resume fit the job you want to have. 1. Don’t be too far out. We’ve heard it all before, to make a resume stand out you need to put it on a kite, include cookies, send it via carrier pigeon, or something else unusual. The truth is, resumes like this usually end up on a list of “don’ts” concerning how to submit them. It might seem obvious but this is one rule that is great in theory, but often doesn’t get carried out in practice. For whatever reason resumes collect coffee rings, smudges, and other unsightly marks that show carelessness. When resumes like this make their way to an employer’s desk it makes them wonder what your work will be like. 3. Be honest and accurate. It’s a good idea to show yourself in the best possible light, but don’t add information that is blatantly false. Eventually, you’re going to get caught, and probably fired for it. You should also make sure that your resume is accurate in terms of spelling, dates, and other information. 4. It takes a set. It might seem obvious, but when you send your resume make sure that the paper and envelope match, and that the ink you use is black. Neatness is what most often gets attention, not showmanship. Smearing your resume with feces will certainly get attention too, but not the kind you want. 5. Keep it to one page. There is a lot of debate over this one, especially from those folks who argue that a one page resume isn’t practical, and that just their education or experience wouldn’t fit on a single page, but resumes are often read while an executive is on the phone or other activities. Keep it as short as possible at this stage. Use the interview for details. 6. Keep it on business. A lot of resumes spend time presenting information of a personal nature, but unless this information has to do with the work applied for in some way, don’t include it. If your hobby is bookbinding and the job includes bookbinding or something similar in the field, include it, but otherwise, leave it out. 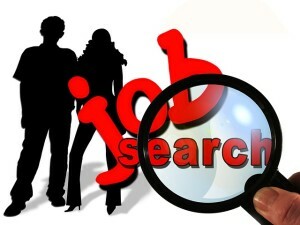 Many people approach the job of putting together a resume like it is intended to get them a job. It’s not. The job of the resume is to get you an interview. That’s all. Much of the detail that many people are tempted to put in a resume should be saved for the interview. Regardless of the information you present and where you present it, your mission is to put yourself, your work history, and your education in the brightest possible light. Done this way your chances at scoring a job will outshine everyone else.